God values/trust the life potential in each life !!! 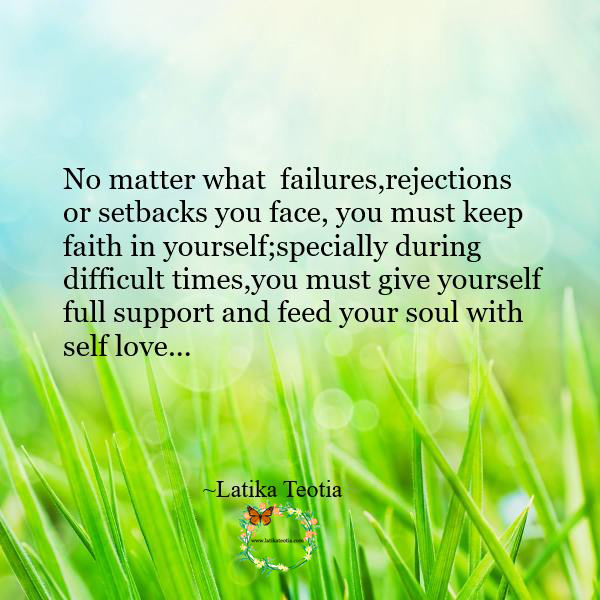 No matter what failures,rejections or setbacks you face, you must keep faith in yourself;specially during difficult times,you must give yourself full support and feed your soul with self love. Yes, you have the potential to handle difficulties you may face in relationships ,education,business,workplace or even in your own health. Even if your doctor says its terminal and nothing can be done now, still it won’t kill you until you give up. 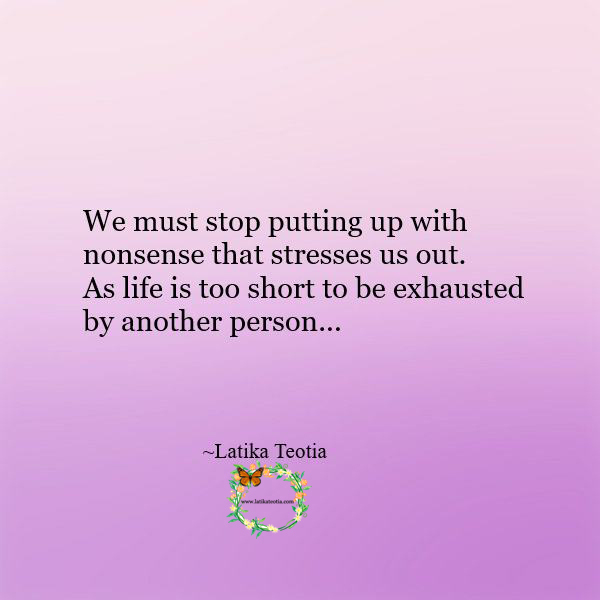 We must draw up boundaries, demarcate our space !!! 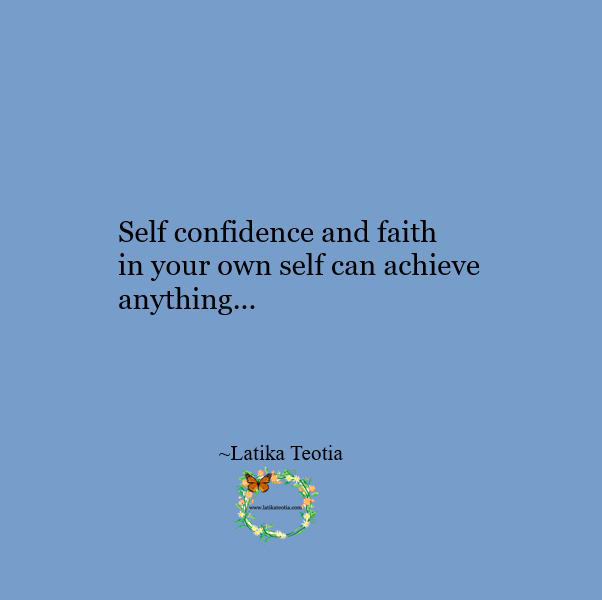 Believing in yourself can change your life and your relationships for the better !!! 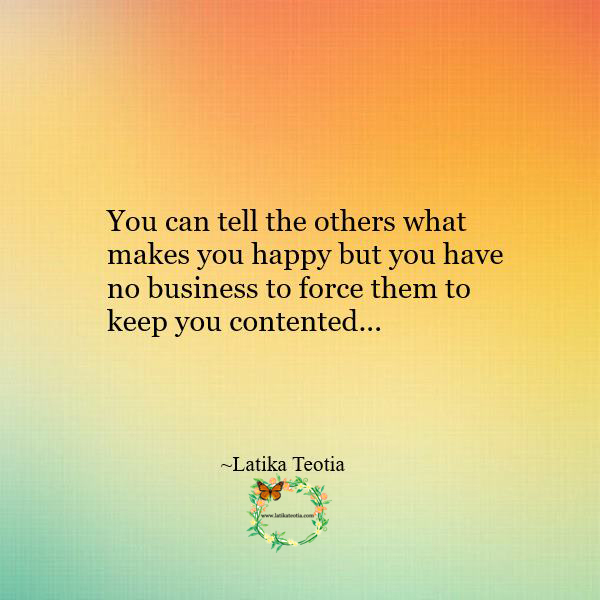 Be compassionate with yourself also !!! Forgive and forget what had happened. Do not brood over your past mistakes and failures. Relax !!! 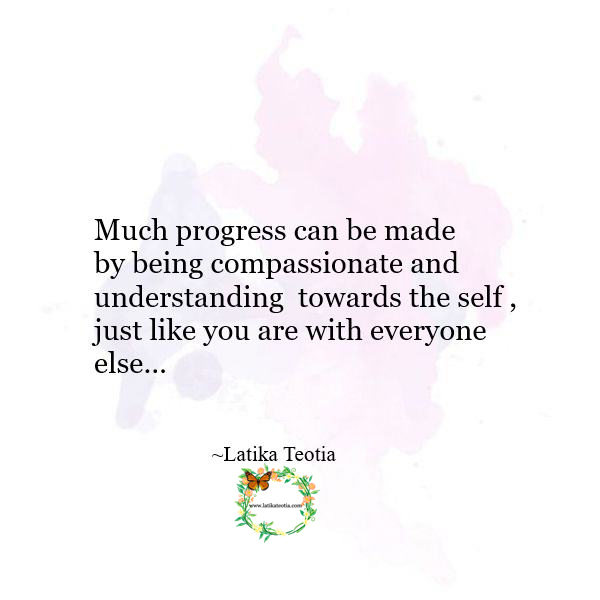 You are constantly evolving. Love yourself to bits. Do not lose faith when life gets tough !!! It is okay for the time being to get discouraged, disillusioned or disheartened but the first thing which needs fixing is “OUR ATTITUDE” . 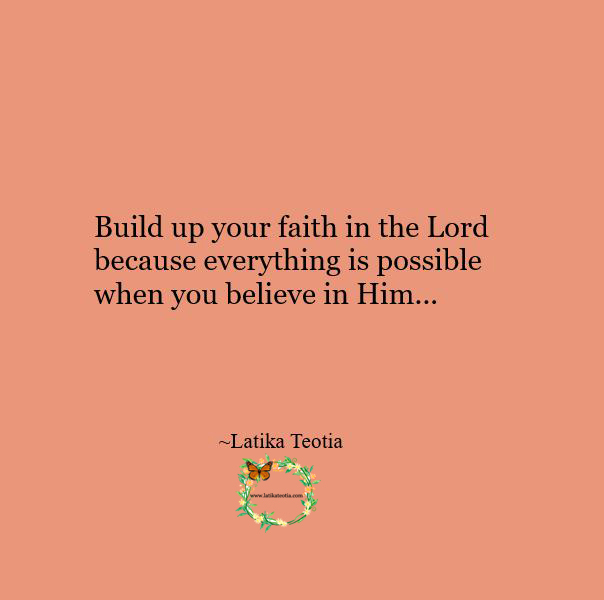 I know it is very difficult to remain positive and calm in such times ‘But’ we have to consciously try our best to stay strong by building faith in God. We might not be able to change our circumstances but we can for sure cooperate with God and have patience. Maybe God is rearranging our lives and it is taking us where we need to be. Let the light of our faith in the Lord be our guiding light . Inhale Courage !!! Exhale Fear !!! 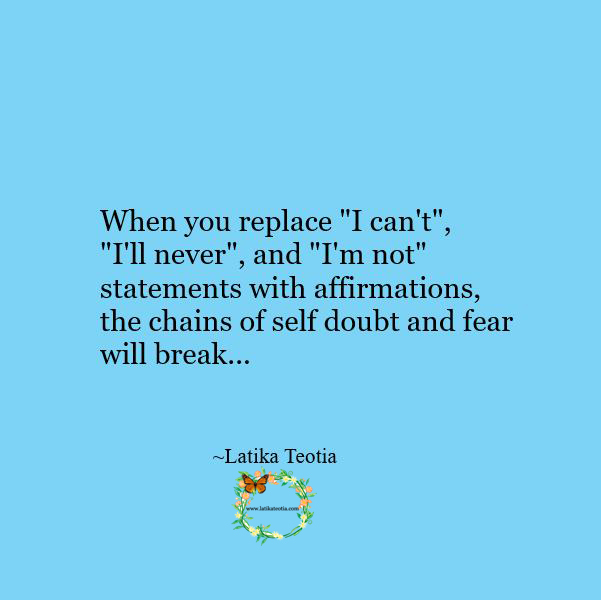 When you replace “I can’t”, “I’ll never”, and “I’m not” statements with affirmations, the chains of self doubt and fear will break. Rework your expectations, hopes and aspirations !!! 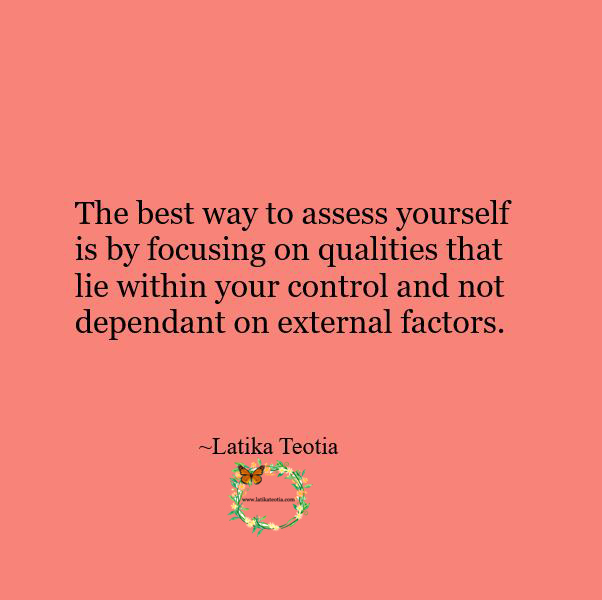 The best way to assess yourself is by focusing on qualities that lie within your control and not dependent on external factors. 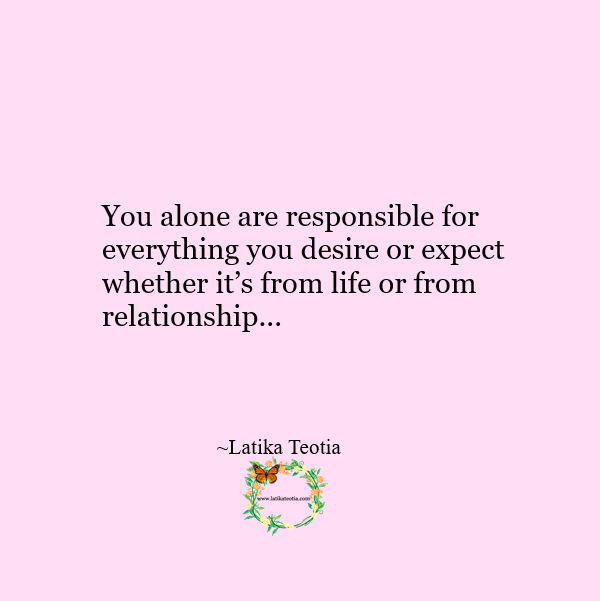 You can’t control what happens at your job place or on the marital front or how your friends behave or how your family treats you but you can most certainly be in control of your own thoughts, behaviour, attitude, outlook, approach, feelings, mind-set and so on. Recognize the difference between these two and once you are aware of yourself nothing can shake your self esteem or disturb your peace.